Become a hosting reseller and offer your own web hosting service, or host your own websites under one consolidated plan. Resellers hate downtime and so do we. All of our infrastructure is designed to give a reliable reseller hosting experience. We maintain private suites in Tier IV data centers and monitor our government-grade Dell, HP and Supermicro web servers around the clock to make sure they’re online and powering your website. Read more about the hardware that powers our reseller hosting on our hosting technology page. Let's get you on the right plan! All our reseller hosting plans are powered by CloudLinux, cPanel, LiteSpeed web server and advanced real-time anti-malware scanner. Our reseller hosting is the fastest around. From the most powerful servers to the quickest customer support, we are all about speed. We setup your reseller hosting plan within minutes of you signing up. We provide you with all the tools you need to start your own web hosting business with cPanel, WebHostManager, Blesta/WHMCS, a free Merchant Account and SSL certificate. Including WordPress, Joomla, Drupal, OpenCart, phpBB and more. Our Softaculous 1-click installer installs each application in under a minute. Softaculous is included with each plan you create so our Reseller Hosting is ideal for building a network of blogs or CMS powered websites. Happy reseller customers are our bread and butter. We go above and beyond what our competitors offer and deliver to give you a happier, more pleasurable reseller hosting experience. In the very unlikely event that you are not satisfied with our hosting services, we offer a full 45 day money back guarantee. Other web hosts take holidays. We don’t. Our Customer Service and System Admin network works 24/7, 365 days a year without respite. When you need help, we’re here for you through our Live Support system or our friendly helpdesk. You don’t have to resell our reseller hosting. Our true multi-domain platform is also ideal for webmasters / site owners with multiple websites who wish to host all of their sites for a single monthly fee. We help you move in! Happy customers make us happy. We go above and beyond what our competitors offer to deliver you a better web hosting experience. In the very unlikely event that you are not satisfied with our hosting services, we offer a full 45-day money back guarantee. 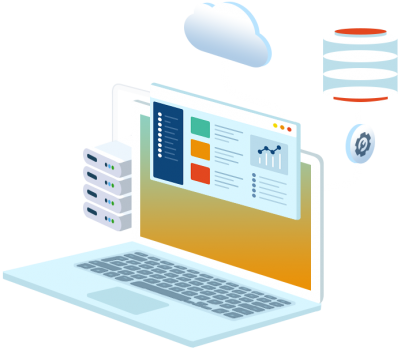 We’ve been offering web hosting services for more than 13 years, which has given us considerable time to evolve our services to consistently meet the requirements of our clients. We’re very good at what we do and our experience means the service you receive and enjoy is second-to-none. We provide powerful website and SEO tools including Attracta and other automatic SEO tools available through cPanel. We’re also partnered with CloudFlare giving you additional security features and quick access to a CDN and CodeGuard, the best website backup service around. We integrate fully with Gmail and Google Apps, with minimal hassle to you. We’ve developed our own in-house Google Apps connector so you can enjoy all of Google’s office tools with your website hosted with us. Not any longer. We’ll offer to transfer your account for free! We’ll migrate all of your website files, databases, email addresses and website settings quickly and easily. Don’t let an unreliable web host slow you down. Some of our Hosting Plans also allow you to select the specific PHP version you would like to use, and also offer an extended range of PHP plugins. We love the environment, and we take our environmental commitment extremely seriously. Our long-term sponsorship and partnership with The Woodland Trust means all the hosting services we offer are completely carbon neutral. 93% of our customers rate us as Here is a selection of outstanding reviews from them. My websites regularly encounter high traffic so I needed a robust server solution that provides enough dedicated resources. I was moving from shared hosting environment and not very technical, but support helped me through the process of getting my server set up, and moved my websites across at no extra charge! A+ service! Server specs are one of the best out there. Thanks! I must say that I was pleasantly surprised with Webhostingbuzz. Customer support is one of the best I ever saw. Their service is very good and reliable and I did not have high expectations when I started with this company, but it turned out to be one of the best service providers I've ever tried. Before I mostly used services of large and well-known companies, some of them are better some worse, but honestly neither one has fulfilled my expectations, which generally were not anything special. I can recommend Webhostingbuzz to everyone. I have been with WebHostingBuzz for 2 years now and I have had zero problems, none, their support is excellent and always on top of things. It leaves me to focus on the important aspects of my business and not worry about whether my site will be up or down. That peace of mind is so valuable. If you need a new host to try out I would recommend WebHostingBuzz in a heartbeat - I've never needed another host since I started using them! With top of the line hardware and software, WebHostingBuzz's excellence is secured and maintained with a fantastic support staff. They are friendly, efficient and helpful but, most importantly, they resolve client issues FAST! As a three-account client, they have earned my accolades time and again. I have used almost every kind of web hosting from shared hosting to bare metal servers from various vendors. WebHostingBuzz is very reliable, scalable and affordable too. So far I haven't faced any downtime, it's 100% uptime. I have been with WebHostingBuzz for close to 8 years now. I am very happy with service. I've had shared hosting and now I have VPS hosting, It can't be beat! Uptime is incredible... In fact, my Teamspeak server has been up for 200+ days (last time I had rebooted the server was more than 200 days ago!) . When I need help with my VPS I submit support tickets that get answered within the hour. I recommend WHB to everyone I meet. The VPS customer service is very good, they are kindly and fast for every our needs. To put it simply, you will never be disappointed with WebHostingBuzz. I have never had a problem with them, and they are able to fix and help with everything I ask for. The support is so good I am here writing this review! Webhostingbuzz is just perfect reseller hosting. Best performance. Serves great. Excellent customer support. You do not have to wait for a long time to get support. I love WHB its like family. I have been with WHB for over 5 years now and I have seen how much its grown over the years. Some companies change as they get bigger, some for the worst other for the better. WHB has changed they have become even better. There support service is great. They get right back to you day or night. Always quick and fast with fixing a problem. They have stayed true even as they have become so big. I give you guys 5/5 stars and I would never think about switch hosting companies. GO WHB! Extremely knowledgeable, professional and offer support which is 5/5 stars. I must say, they're as equally reliable, friendly and consistent. I trust WebHostingBuzz knowing my business is in good hands. All the best! Quick response, quality service. I'm very satisfied with value for money. From 2006 we started our online business with WHB till now, during this period we changed our server for one year in several servers in different location in Europe & US but with no satisfaction on support which is the main concern for an online business. WHB provides great supports in any issue and reacts immediately. Recommending this to all my pro friends when they're looking and asking about a great service for hosting. After all the changes, adjustments and transfers occurred in our server I would like to thank all of the WHB team for their assistance. Honestly, they constitute an excellent staff, and just their quick answer to our request gave us satisfaction and made ​​us feel comfortable with their presence at every moment to help. They are wonderful and they offer a sublime model of what should be the support. Thank you all Webhostingbuzz team so much, and keep up the great work! Although I find the hosting control panel a little difficult to use, mainly my fault for not being an expert in server control. The support are fantastic and if you are struggling with something they will just go ahead off their own initiative and do it for you. I've been a customer since the beginning with several shared accounts and a few semi-dedicated accounts. The pricing and support has been awesome for years. I've had a great experience with basically no down-time and a couple mistakes from my end. I also have the benefit of comparing WHB to a couple different hosting companies my work has used over the past couple years. They're WAY more expensive and the support is basically non-existent. I plan on staying with WHB and have suggested to others to try them out. I've been with WebHostingBuzz for almost a year, and I have not regretted my choice since. Their reliability and speed are extremely good - the site is up every time I check it, almost daily; their Client Area is easy to navigate and they give you cPanel to manage your website; they don't do that "Unlimited" crap - every package has a definite amount of Disk-Space and bandwidth, with a clear list of features. Definitely recommend this host. I just signed up for Webhostingbuzz recently. During the sign up process, I found them to be user friendly, helpful, & the sign up process was simple. I like their user interface as well as their price. Very professional. © OC1-WebHostingBuzz 2002–2018. All Rights Reserved.